Celebrating the 50th year since its foundation, a visit to the Watermill Theatre is an amazing experience for all the family. Located in West Berkshire, this auditorium seats 220 people, and has shown many great productions that have been successful both in the UK and abroad. The plays vary, ranging from Shakespeare to modern productions, and some of the most successful ones that were first developed at The Watermill are Sweeney Todd, Ten Cents a Dance and Pinafore Swing – all of which were impressive enough to eventually end up in London’s West End. The mill has been around since 1830, and during its life as a working mill it was involved in the production of flour, cloth and fine paper. Those days were over when David Gollins and his mother Judy decided, in the 1960s, to turn it into a professional theatre. Jill Fraser and her husband James Sargant were the next to take over the mill when they bought it in 1981, and they turned it into a national and international success, touring 21 different countries. The Watermill won many respected awards during this time, and Jill was proud to see their shows both in London and New York, with Sweeney Todd winning 2 Tony Awards. An appeal was put in motion in 2005 to enable the Board of Trustees to buy the theatre from Jill and James. The sale was necessary to make relevant improvements and developments, but did not take place until 2008, when the goal of £3 million had been reached. Businesses and individuals wanted to show their support, and rallied to donate money. Hedda Beeby became the artistic director in 2007, and remained in this role until 2015. Many high-quality shows were produced during her time, and many talents emerged – both on and off stage. Some remodeling was done, and the theatre managed to expand to an even wider audience, selling out numerous performances. When Hedda stepped down, it was time for the current director, Paul Hart, to fill her shoes. He keeps working hard, so that the Watermill Theatre maintains its fantastic reputation in the UK as well as the rest of the world. The theatre is over 200 years old, and has kept many traditional aspects of the old production building, including a waterwheel and corn chutes. Despite the old vibe, the Watermill has invested in modern technology. It delivers workshops, performances and drama groups, while also still touring the country to this day. The theatre engages more than 13,000 people every year, not including the theatregoers coming to enjoy the shows, and it is truly a unique place to visit. It is a small, local and traditional spot, with high-quality performances, and it is very obvious why it has been so popular for all these years. 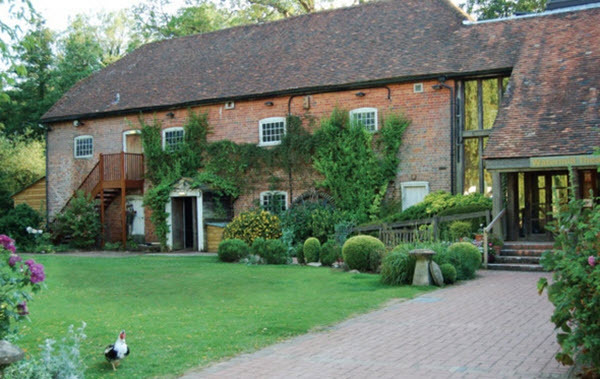 After 50 years as a successful home to talented actors, actresses and highly rated shows, the Watermill Theatre hopes to keep up the good work for many years to come.